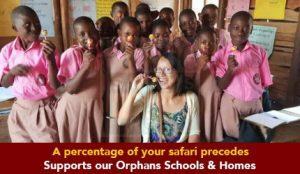 The 8 Days Kenya Wildlife Safari Tour. Samburu National Reserve Safari in Kenya. Kenya Safari Tour. The combined 8 days Kenya wildlife safari to Samburu, Aberdare, Lake Nakuru and Maasai Mara Game reserve in Kenya cover Kenya`s prime safari destinations that offer a remarkable Kenya Safari experience. This Kenya safari trip starts and ends in Nairobi Kenya. 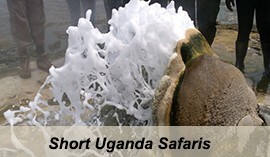 It offers wildlife, birdlife and it features the blend of wildlife, birding exploration experience. This safari allows two nights in Maasai Mara National Game Reserve which gives chances to explore the most famous Kenya wildlife safari destination notable for hosting the African Big five and the Great Migrations, a least to mention. This safari allows two nights in Maasai Mara National park which gives chances to explore Kenya`s most famous wildlife safari destination notable for hosting the African Big five and the Great Migrations, a least to mention. Day 1 of the 8 Days Kenya Wildlife Safari Tour Samburu National Reserve: Depart from Nairobi to Samburu National Reserve. Day 2 of the 8 Days Kenya Wildlife Safari Tour Samburu National Reserve: A full day game drive in Samburu National Reserve. Day 3 of the 8 Days Kenya Wildlife Safari Tour Samburu National Reserve: Transfer to Aberdare National Park & enjoy leisure in the afternoon with the wild game views from the lodge. Day 5 of the 8 Days Kenya Wildlife Safari Tour Samburu National Reserve: Transfer to Maasai Mara National Reserve & and do an evening game drive. Transfer from Nairobi at 0630hrs to Samburu National Reserve. 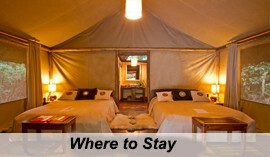 (a home to the endangered wildlife such as Grevy Zebra, Gerenuk, Reticulated Giraffe, Oryx, Antelope, and other mammals). Enjoy the impressive views of pass pineapple plantations and fertile farmlands en route, arriving in time for lunch at the lodge. Have a leisurely and relaxed afternoon. Do an evening game drive at 1600hrs in search of wildlife. 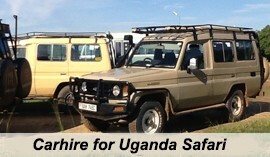 Undertake a game drive in the morning at 0630hrs searching for wildlife. Return for breakfast at the lodge and relaxation in the afternoon by the poolside. Do another game drive in the evening starting at 1600hrs searching for more wildlife. Transfer from Samburu at 0700hrs after an early morning breakfast to Aberdare National Park. (a park with scenic views of the beautiful Aberdare Ranges, breathtaking falls that plunge 300m and a habitat to the rare bongo species). Arrive at the base hotel for lunch and transfer to the Tree Hotel for a rewarding afternoon offering direct views of wildlife from the hotel as they come to lick salt and water. An early morning breakfast at the Tree Hotel and arranged transfer to board the vehicle at the base hotel. From the base hotel, transfer to Lake Nakuru National Park. (a home to over 2 million flamingos that flock to feed on the teeming algae of this flesh water lake and over 450 species of that can be spotted as well as rhino sanctuary that includes both Black Rhinos and White Rhinos). Arrive at the lodge for lunch and afternoon relaxation. Do a game drive in the evening at 1600hrs searching for wildlife. Transfer from Lake Nakuru at 0700hrs after an early breakfast to the worlds famous Maasai Mara Game Reserve. 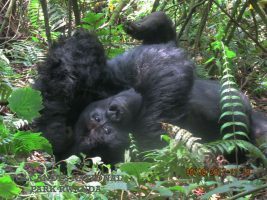 (featuring wide savannah, meandering rivers, rolling hills, riverine forests, forests with the famous African big five, bountiful birdlife and huge grazing herds). Enjoy impressive views en route with a thrilling drive, Arriving at the lodge for lunch, leisure and afternoon relaxation. 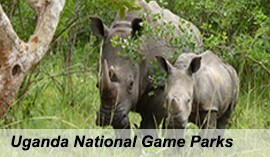 Do a game drive in the park at 1600hrs in search for wildlife. Embark on a game drive after early morning breakfast for a full day experience enjoying wildlife views. Continue to Mara river for picnic lunch as well as enjoying the views of resident hippos and Crocodiles. Return to the lodge in the evening for relaxation dinner, and overnight. Have a last day game drive in the morning at 0630hrs to make a recap of wildlife search. Return for breakfast and 1000hrs checkout at the lodge for a transfer back to Nairobi. Enjoy scenic views en route and a stop at the View Point to experience the beauty of The Great Rift Valley. Arriving Nairobi in the afternoon.